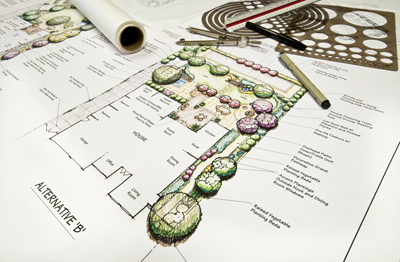 A rewarding landscape begins with a plan, tailored to your specifications, project requirements and aesthetic appeal. Our landscape designers will work closely with you to create a design using our experience and expertise. Your landscape project does not move forward until you are completely satisfied with the plan and it works with your budget. Landscapes are dynamic—they must be managed if they are to retain their curb appeal and viability. While it may be tempting to bring in a company that provides basic “mow and blow” lawn service, an investment in trees, perennials and hardscapes deserve more skilled attention. All Around Landscaping will work closely with you to develop a long-term landscape and lawn service plan that works with your needs and budget to ensure a beautiful, well managed landscape. 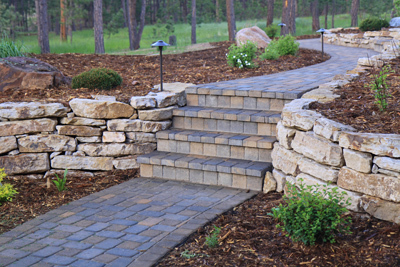 The look of distinction that pavers, stonescapes and outdoor structures add to any landscape is undeniable. When designed with vision and architectural flair, hardscapes create sturdy and effective functionality while aesthetically expanding the architecture of your home into the outdoor environment. All Around Landscapes’ hardscapes are always an expression of our excellence. Each hardscape is a unique design, using color, texture and dimension to bring one-of-a-kind elegance to the finished project. 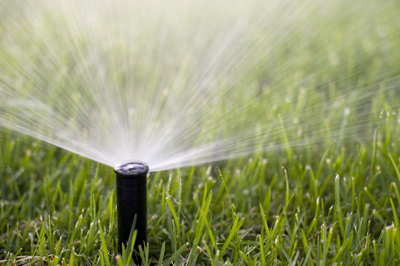 An effective irrigation/sprinkler system is often a crucial feature in your landscape. A poor watering schedule or no watering schedule can lead to poor plant growth or dead and dying plants. 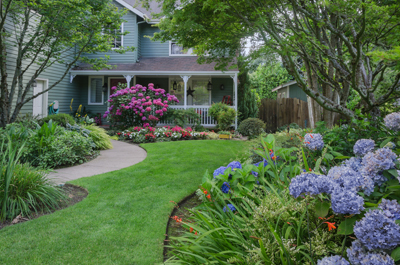 Whether you have a small lawn to a big yard with an extravagant landscape, an irrigation system installed by All Around Landscaping is a great way to guarantee a green and healthy yard. All Around Landscaping of Springdale, Arkansas, is a full-service landscaping company specializing in all types of commercial and residential landscape design, installation, and maintenance since 1986. We serve all of Northwest Arkansas including Fayetteville, Springdale, Rogers, Bentonville and all of Benton and Washington counties. We serve both commercial and residential properties helping each to achieve their landscaping goals with the best customer service. We are licensed in Arkansas for commercial and private nutrient application, pest and weed control, irrigation, lawn maintenance, and commercial tree service. Compliant with all required immigration laws and regulations as well as industry safety standards. Have an Arkansas State Nurseryman’s License and are fully insured. Specialize in providing our customers with the utmost quality product at an affordable price with attentive service.